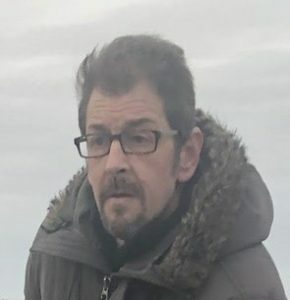 Merseyside Police have issued an image of a man they believe may be able to assist detectives investigating an incident involving dogs on Ainsdale beach in February. At around 3pm on February 19, a woman was walking her dog on the beach when she was knocked to the ground by a dog off its lead which then attacked her own dog. The woman attended hospital for treatment for a knee injury, and her dog required veterinary treatment including surgery. Inspector Beth Blake said: “We are asking the man pictured to come forward as we believe he may have information that could assist our investigation into this incident. “It is a criminal offence to allow a dog to be dangerously out of control, and in this case both a dog and its owner were left requiring treatment for injuries caused by the dog. Anyone with information is asked to contact Merseyside Police social media desk via Twitter @MerPolCC or Facebook Merseyside Police CC. You can also call 101 quoting incident reference 19100064022 or contact the independent charity Crimestoppers anonymously, on 0800 555 111 or via their online form at: https://crimestoppers-uk.org/give-information/give-information.